Wow. I wasn’t expecting this to be so incredibly insightful and deeply moving. And funny. And engaging. 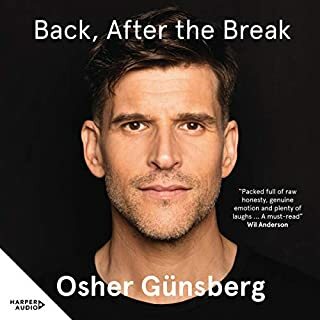 An important and meaningful contribution to the world Osher. Thank you for sharing your story of dealing with the complexities of life, mental health issues, and pretty much everything, in such an honest and really helpful way. As a successful and driven high achiever myself, who to everyone else appears to have it all together, your story resonated with me like no other. Thank you.